- We treat our customers as we would good friends, combining accurate, timely, dependable and exceptional customer service with a friendly rapport and welcoming atmosphere. 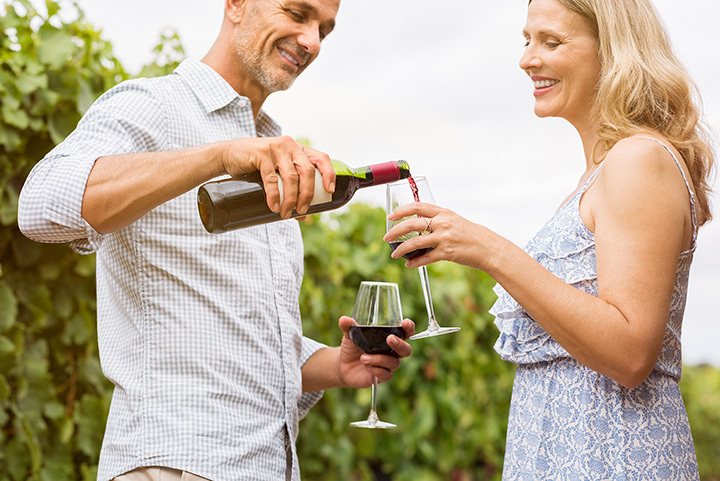 - We invite our customers to join us in our journey through wine enjoyment, providing a wine tasting experience that is relaxing, fun and educational. We are proud that we foster many non-wine drinkers into wine learners and then wine lovers through this experience; Becoming as much a part of the customers' lives as they are of ours. - We aim to support our local area. We do this through sharing the beauty of the Adirondacks with visitors from all over via the local photography on our labels; by providing a wine experience that brings customers back to the region time and time again; and by donating to local charitable causes. - We are dedicated to the continuous growth and development of our people and business. We are consistently working to improve our wines and customer experience, as well as working to increase the availability and awareness of Adirondack Winery's products and services to the general public. - Adirondack Winery believes that great wine-making starts with a passion for wine. We have successfully translated our passion into a business we love and are proud of. We take pride in selecting the best ingredients and using a traditional, hands-on approach to wine making that is guided by our talented winemaker every step along the process. It is our dedication to quality and process that results in our outstanding, award-winning wines that can be enjoyed by everyone!